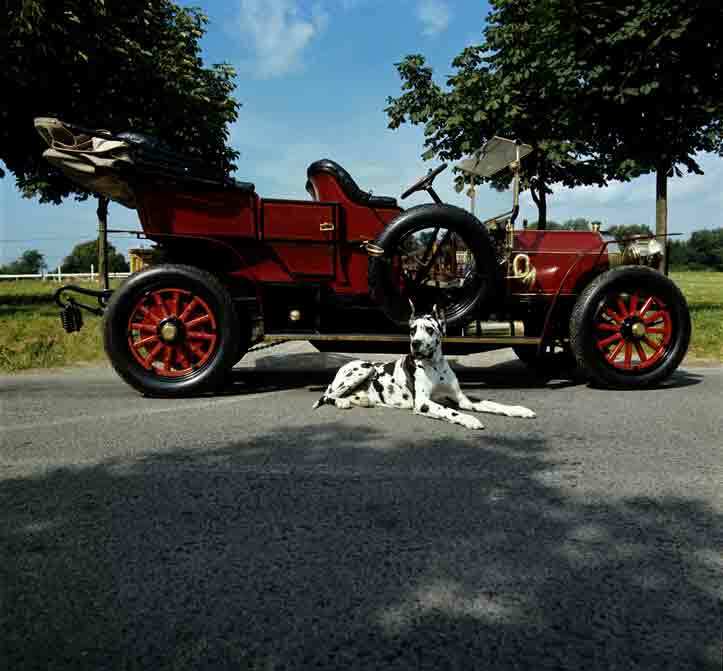 In the Summer of 1970 my husband, Peter Bock-Schroeder, was given the task to photograph the Mercedes-Benz Oldtimers for a book project. About a week before the assignment he and our little daughter Rebekka had a bike accident. Deeply shocked by this incident he was not able to carry out the assignment. We decided that I take over the job. When I arrived in Stuttgart the Mercedes Oldtimers had been brought to the Castle Solitude. My understanding of these beautiful cars was "all-female". They didn't appear cool to me, instead I saw them as wonderful playful beauties. I got almost into a photo frenzy. All day I portrayed and posed the automobiles as if they were people. When the client finally saw my work he hated it so much that he refused to pay for anything. Of course I kept all my material, and today 43 years later I'm glad to still own my work. I like looking at the images of the cars and I would photograph them the same way if had to do it all over again. Castle Solitude in Stuttgart, Germany, was built as a hunting lodge between 1764 and 1769. After 1903 Castle Solitude was the finishing point of hill races. From 1935 to 1965, the 11.3 kilometers Solituderennen course south of the castle was used for World Championship motorcycle Grand Prix racing. In their heyday, the Solitude races attracted crowds of 288,000 spectators.